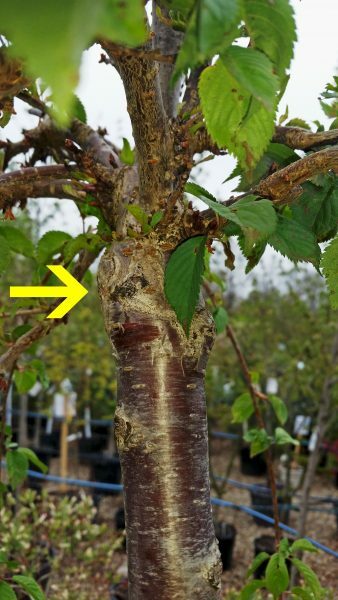 Grafting is a common method of propagating fruit and ornamental trees. It allows the best traits of a tree, such as large fruit or bountiful blooms, to be passed on from generation to generation of species. Mature trees that have undergone this process can develop graft collar suckering, which is undesirable for numerous reasons. What is a graft collar? A graft collar is the area where a scion and a rootstock join and is also called a tree graft union. What is a Graft Collar? The union in a graft is a lumpy, raised scar that should be just above the surface of the soil or just under the canopy. It is caused when the scion and rootstock are united. The scion is the variety of the species that produces and performs the best. The rootstock is a consistent propagator chosen by nurseries and breeders. The purpose of grafting is to ensure that varieties that do not come true from seed will retain the properties of the parent plant. It is also a speedier method of producing a tree when compared with seeding. When grafting takes place, the scion and rootstock grow their cambium together. The cambium is a living layer of cells just under the bark. This thin layer is joined on both the scion and the rootstock so an exchange of food and nutrients can occur to both parts. The living cells in the cambium are the growth center of the tree and, once united, will create a graft union formation while allowing the exchange of life giving substances. The area where the scion and rootstock heal together is the graft collar or tree graft union. Do You Bury Graft Unions at Planting? The location of the tree graft union in relation to the soil is an important consideration at planting. There are a handful of growers that recommend burying the union under the soil, but the majority favor leaving it just above soil, usually 6 to 12 inches above the ground. This is because the union is a fairly delicate area and, in some instances, improper grafts will occur. 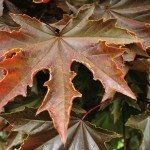 These leave the plant open to rot and disease. The reasons for unsuccessful unions are numerous. The time of the graft, failure for cambium to grow together and amateur techniques are a few causes. Unsuccessful graft union formation can cause these issues, as well as pest problems and graft collar suckering. Suckers are a natural part of tree growth but cause problems in grafted trees. Suckers sometimes occur when the scion is not growing properly or has died. This occurs when the union is not complete. Suckers in grafted trees at the graft collar indicate that the graft has been breached, preventing the exchange of nutrients and water from the roots to the scion. The rootstock will still be hale and hearty, and will even attempt to branch and leaf out. This results in the suckers or slender vertical branch growth from the rootstock. Graft collar suckering will end up producing the characteristics of the rootstock if allowed to grow. Suckers also occur if a rootstock is especially vigorous and takes over the main growth. Use good pruning shears or a saw for older growth and remove the sucker as close to the rootstock as possible. 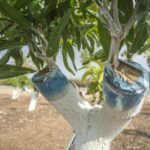 Unfortunately, in strong rootstock, this process may be necessary annually, but young sucker growth is easy to remove and just requires vigilance.